But is Valve's approach bringing a new dawn for PC gaming? A massive company whose name and reputation is intrinsically tied to the PC sets out to do the unthinkable - to bring PC gaming to the living room but keep some of the ethos that made it so popular. The machine will forge its reputation with first person shooters and, after some early divisive efforts, a well received new version of the traditional controller and a connected and vociferous community will be at its heart. 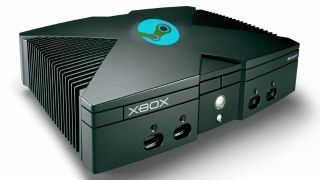 I could, of course, be talking about either the most exciting thing to come out of CES 2014 - Valve's Steam Machine - or a project that was announced at GDC 2000: Microsoft's original Xbox. There are big, and potentially key, differences of course, principally the decision of Microsoft to turn its back on years of computing partnerships to make its own box, and Steam running across multiple platforms. But many of the motivations and decisions do have a certain symmetry; Microsoft was THE voice in PC gaming back at the turn of the century just as Valve arguably is now, and the Xbox was a direct response to consoles leaching people away from (Windows) PCs. The Xbox was also closer to a PC than any console before it, bringing a hard drive for storage, an Nvidia graphics chip and an ethernet port which would become pivotal to its success. Interestingly, it could have been even closer to a PC if the team behind it had not talked their way out of the Xbox running Windows. The problems of creating something akin to a PC for living room use were obvious and difficult to solve: a sleeker UI that cut away the need for keyboard and mouse and, therefore, a control mechanism that worked for living rooms - where no desktop meant no resorting to the traditional. Microsoft's solution was a pared down non-Windows operating system that stripped away the desktop and a controller, which by the second attempt was actually appreciated. Valve's attempt at the living room PC consists of a pared down non-Windows operating system SteamOS built on Linux) and a controller - which is currently dividing opinion. The synergy for the projects, of course, stems from the perceived limitations of PC gaming. Microsoft feared, in the late 90s when the Xbox concept was mooted, that consoles would steal gaming away from the PC, not least because it solved one of the biggest issues of PC gaming both then and now: compatibility. Buying the latest game for a console comes with a guarantee - that it will work with your console. It sounds obvious, but it's a luxury that PC owners do not have. Buying a PC game comes with the need to check it's compatible with your hardware - that you have enough storage, that your CPU and GPU are up to the task of running the game at a playable frame rate (or at all) and even if your OS is supported. Valve's Steam Machine should set finally set a widely adopted lower bar for PC gaming. Even those who eschew Steam Machines for Windows gaming PCs should see the benefit of games developers coding to a base level. That means that spending more money on a more powerful Steam Machine (or Windows PC) will not ensure you can play the game, but ensure that it runs better (faster, more beautifully). Of course, the issue may rear its ugly head when there's a need for that base level bar to be raised in the years to come - but you have to assume that Valve will be sensible enough to keep things set for four or five years, not far from the console cycle. Valve's decision to provide the software for the Steam Machine, but allow third parties to build thier own physical box, is potentially a master stroke, albeit one that Microsoft did not choose to take 14 years ago. That's especially fascinating given that Microsoft's PC success was built on the back of providing the software, in Windows, for third party PCs. And by running across both PC and Steam Machine, and allowing purchases to run on either, Steam also benefits by offering both worlds. Plus, If the Machines run out of, ahem, Steam, then you still have a perfectly functional PC to stick your OS of choice on while you wait for the Steam Machine 360.